The EUR/USD currency pair continues forming another descending structure. 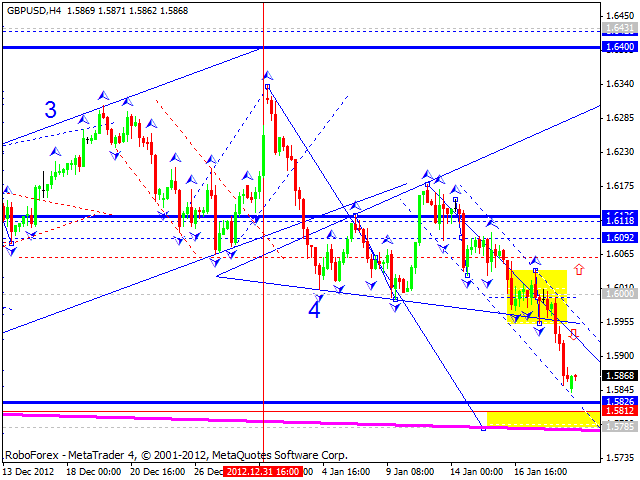 I think today the price may move downwards, reach the level of 1.3260, and test triangle’s lower border. Later, in my opinion, the pair may grow up towards the pattern’s upper border. 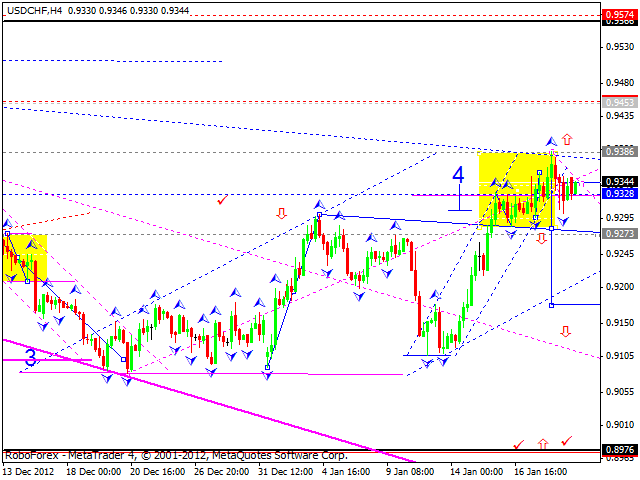 The GBP/USD currency pair is still forming a descending structure, thus expanding the wave towards the level of 1.600. 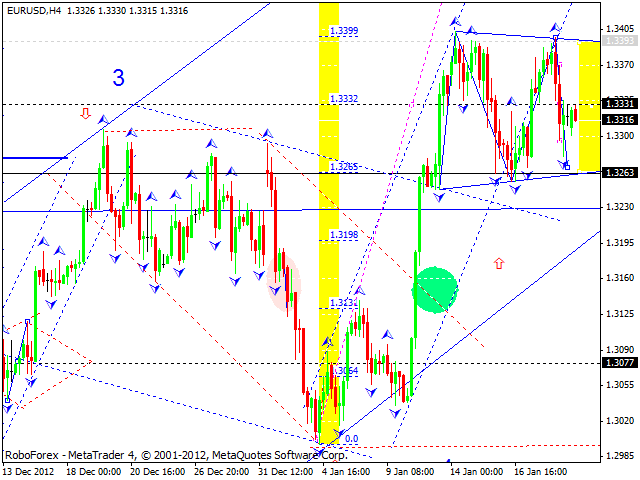 The minimum target may be the level of 1.5815. 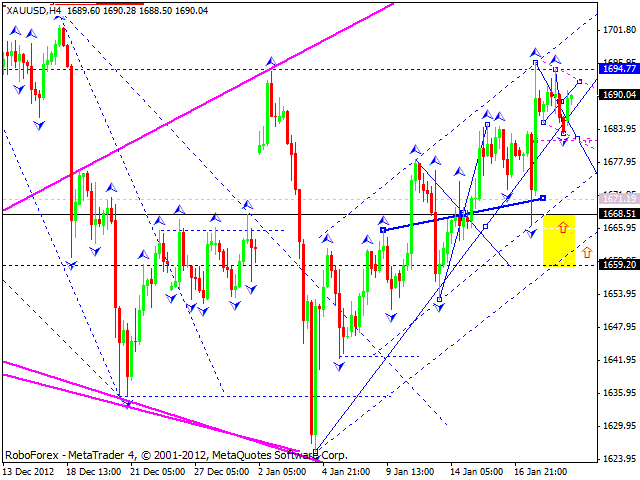 Later, in my opinion, the price may form a pivot point to start a new ascending movement towards the target at 1.6400. 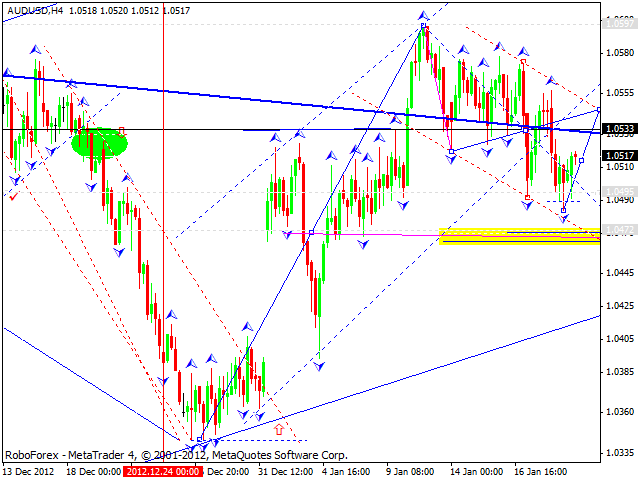 The USD/CHF currency pair continues forming another descending structure. I think today the price may move inside a narrow trading range. 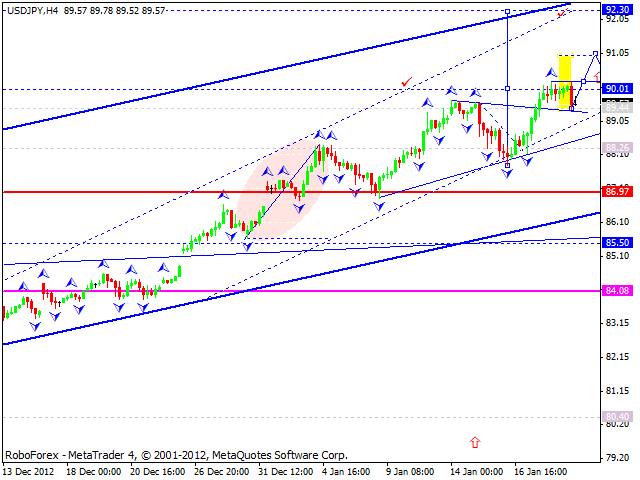 In my opinion, the pair must break the level of 0.9300 and then - 0.9350. I should note that if the price grows up higher than 0.9385, it may continue moving upwards and reach the target at 0.9560. But if it falls down lower than 0.9285, the pair may fall down towards the level of 0.8980. The USD/JPY currency pair returned to the level of 89.50. I think today the price may start forming a new ascending structure to break the target at 90, consolidate for a while inside a narrow trading range, and then continue growing up towards the target at 92.30. Australian Dollar continues forming an ascending structure to return to the level of 1.0535. This structure may be considered as a correction. After finishing the correction, the pair may start a new descending movement towards the target at 1.0470. Later, in my opinion, the pair may start moving upwards to break the level of 1.0600. Gold is still moving inside a narrow trading range near its maximums. I think today the instrument may form another descending correction towards the level of 1670. Later, in my opinion, the price may start a new ascending structure to reach the main target at 1707.